Nano4Global has been awarded 1.4 million euros in funding through the Horizon 2020 SME Instrument- Phase 2. The funding will help the company to develop nanodiagnostics for tuberculosis detection. The colorimetric test developed by Nano4 Global, based on nanotecnologies, will allow the tuberculosis diagnostic in 90 minutes instead of the current test that takes 3 days for disease detection. Nano4 Global aims to provide solutions for one step molecular identification of DNA/RNA at point-of-care. Molecular nanodiagnostics of diseases, such as tuberculosis, zika or cancer, in a rapid, reliable and inexpensive way. Research in nanodiagnostics by Pedro Viana Baptista, group leader of the Nanomedicine lab at UCIBIO and Professor at the Life Sciences Department - FCT NOVA, is the key for the development of the next generation of molecular nanodiagnostics applied to life sciences. “The portable system is based on gold nanoparticles solutions that change color upon recognition of a DNA sequence that identifies a specific disease", explains Pedro Viana Baptista. 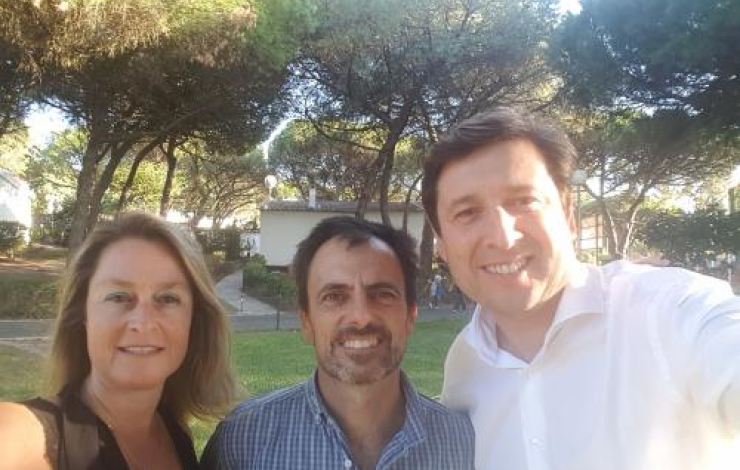 Nano4 Global was co-founded by Pedro Viana Baptista, Alexandra Fernandes, group leader of the Human Genetics and Cancer Therapeutics Lab at UCIBIO and Professor at the Life Sciences Department - FCT NOVA, and Filipe Assoreira, President of Portugal’s Biotechnology Industry Organization.